Super Bowl commercials have always been funnier and generally better than the average commercial, and as it turns out, T-Mobile seems to approve of this trend. Earlier today, T-Mobile CEO John Legere posted the Un-Carrier's Super Bowl 50 commercial on Twitter for all to see, and the end result is nothing short of hilarious. In terms of actual information, T-Mobile's Super Bowl 50 commercial reiterates two of the Un-Carrier's main themes: no carrier contracts and free streaming. In this context, T-Mobile refers to its Music Freedom service, which allows users to stream music (but only from approved partners) without the data counting towards the monthly quota. 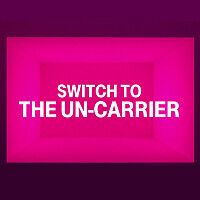 T-Mobile is currently offering a similar service, called Binge On, for video streaming. If you're wondering how much T-Mobile will pay to get its commercial aired during the upcoming 50th edition of the Super Bowl, bear in mind that CBS president and chief executive previously stated that 30-second commercials are selling for up to $5 million.